WASHINGTON — After 14 years of chasing down the stories of World War II treasure hunters, Dallas native Robert Edsel said Tuesday that he plans to close the art preservation foundation he helped found to honor their work. Edsel brought to light the little-known story of 345 people, called the Monuments Men, through a 2009 book and its film adaptation, which starred George Clooney and was released last year. The group saved more than 5 million works of art from Nazis during World War II, and their efforts will be honored Thursday with the presentation of the Congressional Gold Medal. Edsel had been obsessed with understanding how they saved so much from destruction, on his own since 2001. He created the Monuments Men Foundation for the Preservation of Art in 2007 to further the work of discovering missing art and to promote their story. But he also wanted to have them recognized as cultural preservation heroes. “Our commitment was to make sure they were honored, make sure their legacy was preserved, and that the world knew not only what they’ve done but also what was possible, in regards to the protection of cultural treasures. We’ve certainly done that,” Edsel said. The medal is Congress’ highest honor of appreciation for distinguished achievement. Although it has been a captivating project for the Texan, who made his money in oil and gas, he said he can’t continue to foot the bill for the foundation. Edsel said researching, documenting and sharing the stories over the last 10 years has cost more than $7 million. The foundation raised only $3.5 million, and Edsel covered the rest –and worked for free. “I crossed a number of thresholds I said I would not cross in arriving at this point, when we haven’t been able to raise money from donors.” he said, including selling his own art collection to fund the foundation. The foundation’s seven-person team will stop operating at the end of the month. But Edsel will pay to finish some work, two researchers are writing the short biographies the foundation makes available online. Four of the surviving members of the group will be at the Capitol on Thursday for the medal ceremony. 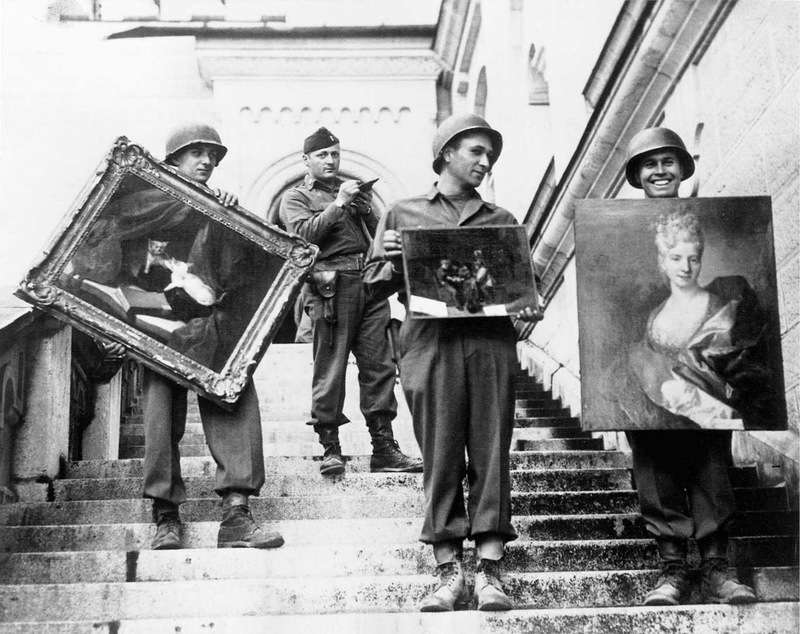 The defenders of artwork and other culturally significant objects were curators, artists, educators who would seek out and recover works stolen or damaged by Nazi forces.Two of the Monuments Men died in the war. Edsel started pushing for congressional recognition in 2007, after meeting Rep. Kay Granger, R-Fort Worth, at an event for the Kimbell Art Museum. Granger sponsored the legislation to formally honor the group. One of the survivors, Harry Ettlinger, whose Jewish family fled Germany in 1938 and who joined the Monuments Men in 1945, will speak to more than 200 relatives of Monuments Men. Edsel and Granger will also speak at the medal ceremony, a bipartisan event involving both House members and senators. Edsel’s project began after the multimillion-dollar sale of his oil and gas business, Gemini Exploration. He moved to Florence, Italy, where his obsession with the protection of art began. The results have included three books, a documentary, the movie and the foundation.